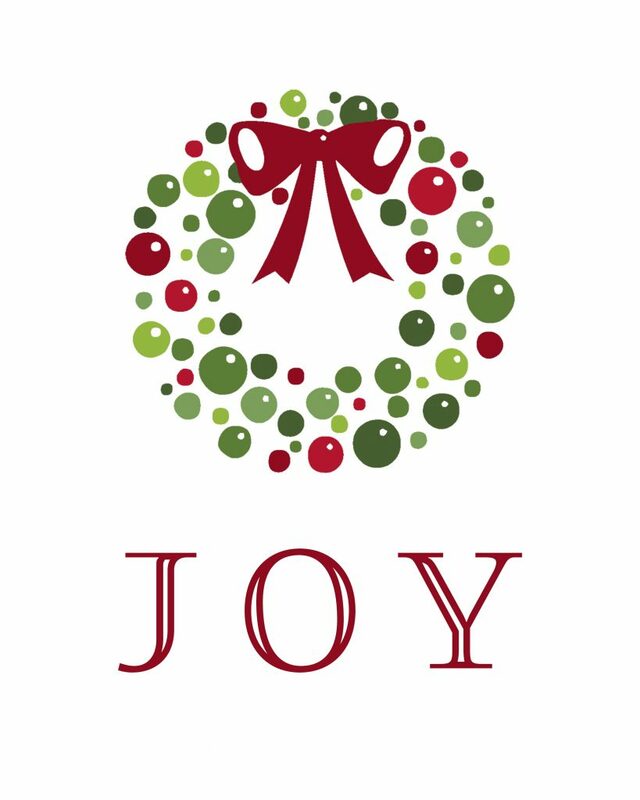 Ok, friends, we are only 15…yes FIFTEEN!…days away from Christmas. Not sure how you all are feeling, but I am realizing that with Thanksgiving being a bit later this year, I am really missing that extra week between the two holidays. I typically get a little Black Friday shopping done, but this year because we were at my in-laws (and they live faaaar from any “normal” stores! My kids were joking that we could see what kind of deals the Dollar General had in town! ), I didn’t get a single thing bought! Now, a week after Thanksgiving, I still have not started shopping! 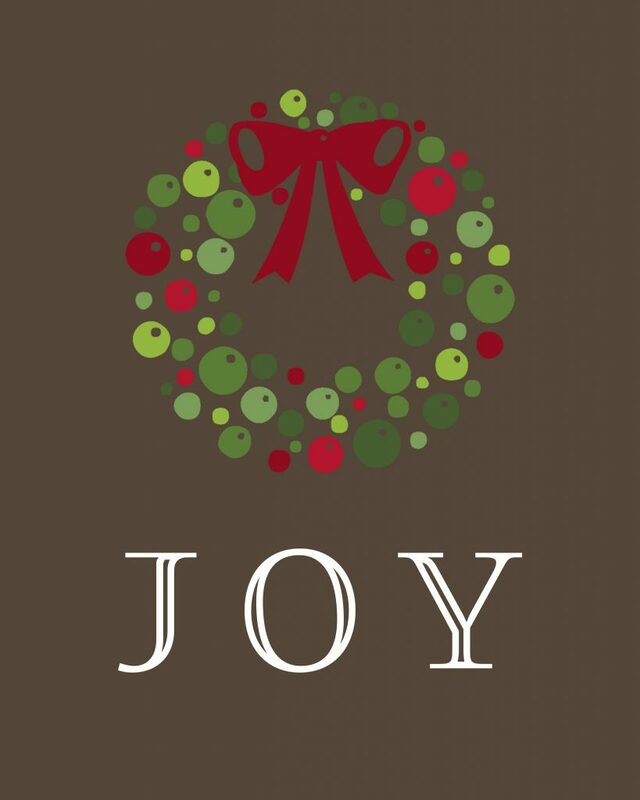 Oh my, somehow things will all fall into place; and I do have a shopping day scheduled this week. Meanwhile, I am still creating for all of you! 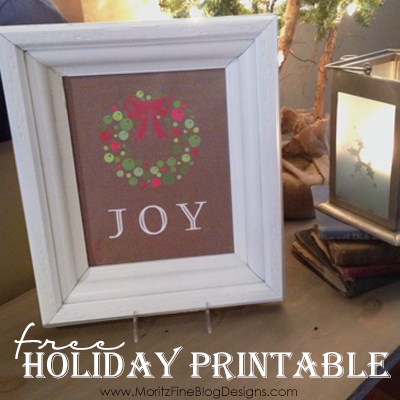 This simple Holiday JOY free printable is available in 2 colors: brown and white. I grabbed one of my Goodwill frames that I had spray painted white a while back, printed out the free download, trimmed it to fit and placed it on our entry table. It would also look great mixed in with your mantle decor or even on a bookshelf!